Kawartha Dog Sitter Blog: Inviting Fido Casting Call Contestants Get Your Free Shouts! Inviting Fido Casting Call Contestants Get Your Free Shouts! Kawartha Dog Sitter Fans You Could be the Facebook Face of Kawartha Dog Sitter Blog! Fido is sponsoring a fantastic Casting Call competition,We hope you will join in the voting fun too, because each vote earns $1 for Lions Dog Guides. To help our Kawartha Dog Sitter Facebook fans, we are rewarding our loyal readers with shoutouts each day. We will select up to 5 dogs by random.org each day to receive shoutouts on our blog, Facebook.and Twitter. Since we are a new blog and Twitter account, Freebies 4 Canada will be echoing our shouts. Plus one fan will win a spot on our top banner wall as the cover dog for our Fido Casting Call Competitors album, each day and be the Face Kawartha Dog Sitter blog on Facebook. Here’s how you get your shoutout ballots. At the end of the competition each dog entered who is a fan, will be included in a free souvenir ebook. You must be a Fan of Freebies 4 Canada Facebook Page. Leave a comment below agreeing to the rules as stated in our blog policies. Make a comment on Our Facebook Wall. 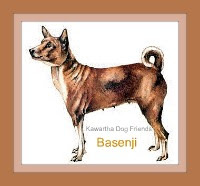 Subscribe to Kawartha Dog Sitter Blog Free email Updates. Share this post on Facebook, StunbleUpon,Delicious,or any other site. Follow Kawartha Dog on Twitter. Blog about our Giveaway (5 Bonus). Refer a new Follower to Kawartha Dog on Twitter. Sarah Robinson Please help my puppy he is the sweetest dog ever!! Shannyn Davis Luther is a 4yr old Bullweiler who loves lots of attention, playtime at the park and night time snuggles. Please vote for him to show that "bully breeds" can be famous too!! Tiffany Martin Please help Gucci to become the next fido star!! We’d like to send a special shout out to Gucci’s , Tucker’s and Niko’s 2 legged friends who took the time to visit our blog and comment on the Fido contest post.After checking to make sure all our entrants were fans,we found that some of those who posted, were not showing as fans, so they were not eligible. 7 entrants who are fans. Gucci left a comment therefore that equals 8 entries. Tucker and Niko who also both commented, are not showing in our fan base, Unfortunately this left them out. Here's how Baby won a spot in our Banner by sharing their entry on their wall and 'Liking'their entry. See today's shout out contest rules coming up this morning. Tracking who does what is a little tricky,we asked all entrants to please leave a comment for each thing they did,but there were no comments left. Rather than not award a prize,we have done our best to figure out what each entrant received as ballots. Random.org results for Monday Nov.
9 entrants who are fans. Plus Gucci left a comment, therefore received 1 bonus entry. Plus PollyPocket follows on Twitter,therefore received 1 bonus entry. Congratulations to all our fans with dogs,even the ones who do not have dogs,and are voting each day. Please let us know if you are voting for our fans so we can include a 'Tip of the Hat' to you in our Free Commemorative ebook. Nov 9 Shout Out Winners who will receive shout outs 2 times on Nov 10th from us and Freebies 4 Canada Please Remember to Tell them we sent you! No comments No way of easily knowing who gets extra ballots. Therefore left list as it was yesterday.